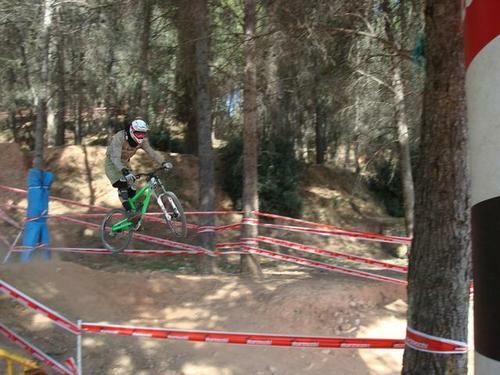 Discussion in 'Downhill & Freeride' started by rodrigodh, Mar 13, 2008.
just been back from my first race of the season. It was great , if only i could have race officially... It involved two race runs and the better time counted. 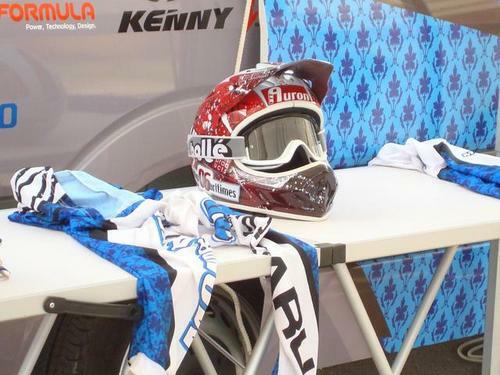 I don't have my license jet so only went for practicing and check out the new 08 bikes and 09 protos..
Fortunately (for me) a friend fall (not too hard) in the first run and let me race with his number the second run... no one notice it so no problem about it. allthough it was the worst run i've done in a very long time. Nice job! 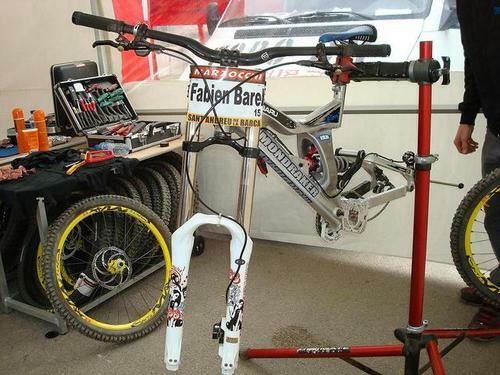 Did you by any chance have the opportunity to check out a BOS equipped bike? Nice mod for piggy back. anyone else think that Commencal sorta resembles the old Giant DH? if you ignored the color and shock placement, the tubing kept giving me flashbacks. It says BOS on the reservoir. 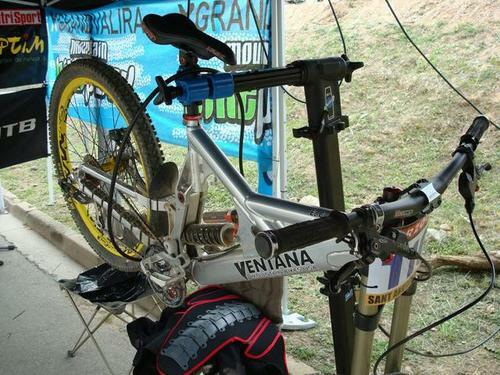 The shock on Ventana´s bike is Bos 20007.Now you can get Bos 2008. He has the BOS Cartridge in his Boxxer. They make conversion kits. You can see the Red BOS bolt on the top of the stanchion. What's the red DH ring on that Glory?? And YEAH, Oscar's seat scares the hell out of me! I bet you can her "whooooa..." as he slides down the course from wary onlookers..
we had the pleasure to enjoy of fabien pedemanaud too, made 2 practice runs with him, really nice guy. 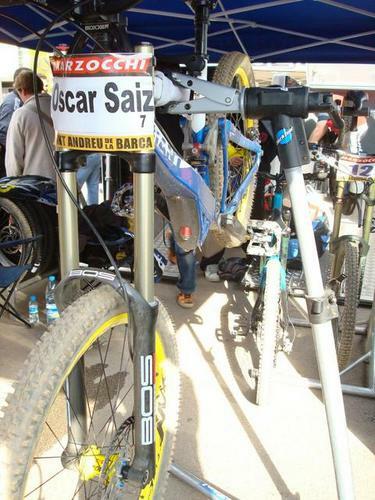 He was testing the new bos fork for the first time on his new morewood prototype!!! but forgot to take pics of it , went with the camera but it was too late, it was already in the truck. that kit he has looks pretty sick. A what? I'm not...familiar...with that...? Rotor makes some interesting stuff. 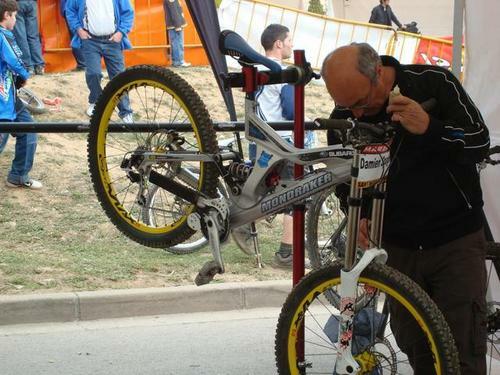 They are most famous for their asymetrical cranks and eliptical chainrings. It seems like mostly road guys that use them or similar products.